By Wolfgang Eggert for VT transl. by laura kölsch and Mirrored @ZurichTimes. That is the vita, the official vita, which seemed “complete” until a few weeks ago. 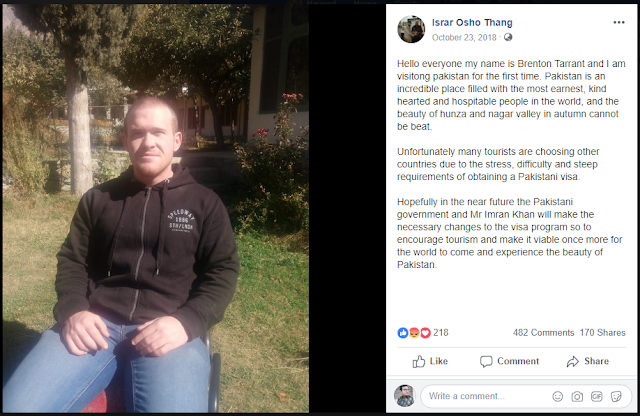 By now we know that Tarrant was a member of the right-wing Knights Templar Order, which, among others, has the goal to “infiltrate Islamist groups to report their terrorist plans to the authorities” https://www.zeit.de/2012/21/DOS-Breivik/seite-3. How is it that one thinks of intelligence work looking at this vita? Now there are rules with most secret services: the employees are meant to investigate, and may behave appropriate to the investigated milieu. “Heil Hitler” and Nazi gestures (not yet reported by Tarrant) are allowed, expressing extremist views, as well. The execution of terrorist attacks, however, does not belong in the work spectrum. But right here Tarrant seems to have “ended up”. Apparently he recently attracted attention with wild propaganda on the Internet – and should then have resorted to arms. This last stage of life must not be fact based, it could also be ascribed to him, by others. Anyone who deals in detail with intelligence services, will find a very popular “trick” to manifest a desired political narrative on the one hand and to prevent, on the other hand, clarifications by police and media: the planting of enemy agents or liaisons in dirty events. Berlin, Christmass market attack, 2016: Documents from suspected german “Verfassungsschutz”-agent Anis Amri were found in the driver cabin; he was shot before he could testify about his previous life. Munich, killing spree, 2016: Shortly before the attack Daoud Sonboly, who, as media reported, voluntarily trained on the weapon in Iran, or someone else under his name, bought weapons on the internet. Sonboly was shot. Germany, NSU-case: Uwe Mundlos and Uwe Böhnhardt who in 1998 went underground with the help of German secret services who also supported them financially whilst in hiding, were, in 2011, found shot dead after authorities were seeking culprits in a series of murders within the drug/weapons/money laundering scene. As their last act they supposedly sent videos of confession. Kennedy murder: Alleged killer Lee Harvey Oswald, who spent a lot of time in the CIA environment, was shot. Afterwards, a photograph appeared showing the sniper with his murder weapon in his proud arm. It is fake. Each of these men pertinently documented his dangerous intentions. Or got them documented. Tarrant fits in. Supposedly he has been arrested. The pictures showing “him” in court are pixelated. If you want to compare Brenton Tarrant with a terrorist ‘predecessor’ then Anders Behring Breivik is most obvious. In his “manifest” Tarrant refers to the Swede, who is said to have bombed half of Oslo’s government district into rubble and then slaughtered several dozen members of a youth camp. Tarrant, like Breivik, visited a radical Templar order. Pictures of Tarrant – like those of Breivik – are for the most part edited. 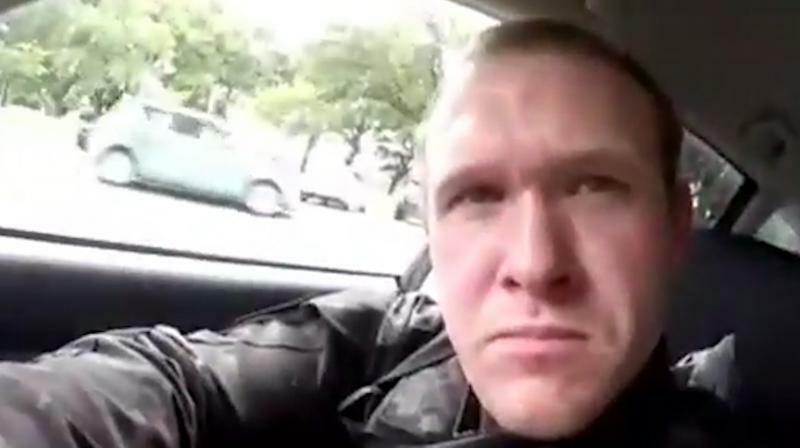 And his “massacre of Christchurch” ran completely parallel to an anti-terrorist police training, same place, same day – as it was the case with Breivik’s bloody special mission. 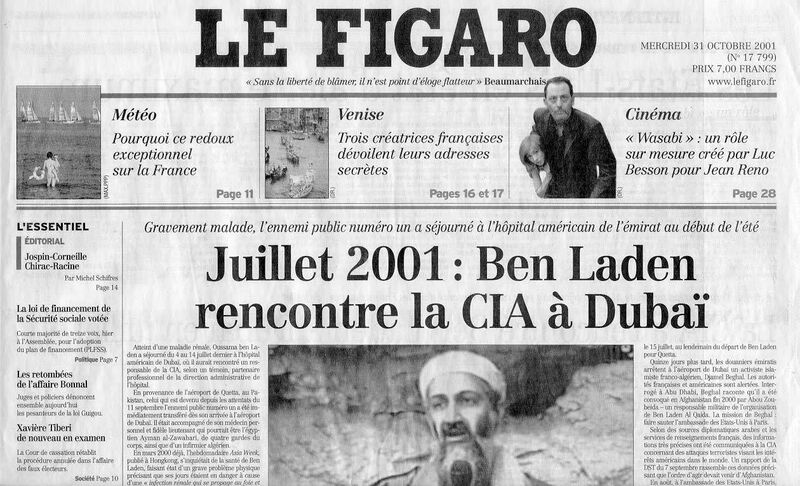 As luck would have it, this interaction too is a specialty evil tongues associate with intelligence services: to counteract anti-terrorist exercises by infiltrating own agents as perpetrators into foreign training, to then leave the responsibility or at least the bad after taste to the authorities of the “host” country. Norway, July 22, 2011: The terrorist attacks attributed to Breivik were a direct continuation of an official terrorist exercise with almost identical content compared to what happened in reality. Over the previous four days, and on this fateful Friday, the Norwegian anti-terrorist forces trained how to deal with a “mobile” terrorist attack, in which “one or more terrorists target to kill as many civilians as possible and attack the police upon their arrival”. The exercise was completed at 3 pm. At 3:26 pm the bomb exploded in Oslo’s government district. Paris, November 13, 2015: The terrorist acts, i.a. against Bataclan nightclub, were coordinated attacks in five different locations in Paris’ 10th and 11th arrondissement as well as in three locations in the suburb of Saint-Denis. On this very day, medical emergency services, police and fire departments in Paris trained responses to attacks by an “armed group in several parts of the city”. The July 7, 2005 bombings of London’s public transport: Ex-Scotland Yard anti-terrorist expert Peter Power, later director of one of Britain’s largest crisis-training groups, held an exercise during the very hour of the real bomb attacks. Training topic was the emergency response to bombings in exactly the same underground stations, where they exploded in reality. The later identified – and disappeared – “perpetrators” all had connections to British intelligence. Whether they were at all present at the crime scene remains unproven, since the only published pictures showing them together on that day (at a subway station) were computer-edited. As already mentioned, a reality-based anti-terrorism exercise also took place in Christchurch on the very day of the drama, topic: how to deal with armed offenders. Members of these training forces, not ordinary police, secured, possibly according to the training script, “explosives” in several cars, including the vehicle of the mosque shooter. And it was them who arrested Tarrant. There is a video showing the “arrest”. The professional action – the car was rammed – may indicate that the “arrest” was part of the ongoing training. Considering Tarrants vita, which suggests anti-terrorist activities, the headline could read: How special forces correctly retire a colleague. In fact, the New Zealand Herald reports that Australian snipers participated in this or an accompanying exercise and were also seen near the crime scenes. If Tarrant was part of it, that would explain how he managed to bring his weapons into the country. But how did he get out of control? Or: Did he at all? All that is still in the dark. The police authorities withhold information. According to media reports, the arresting staff of the exercise forces are just beginning their annual leave and, of course, their names are kept secret. And: the pixelated face of the arrested shown in court raises the question of whether it even IS the Australian at all. The appearance of the unknown – most of him is indeed unknown – is yet to come, allegedly he has renounced a defender. For the time being safe answers for the interested audience can only be taken from the shooting video at Al Noor Mosque. However it’s hard to get hold of it. It is guarded like a state secret. Remarkably, such measures have NOT been applied to the much crueller ISIS videos, which show beheadings, drownings, and burns alive. 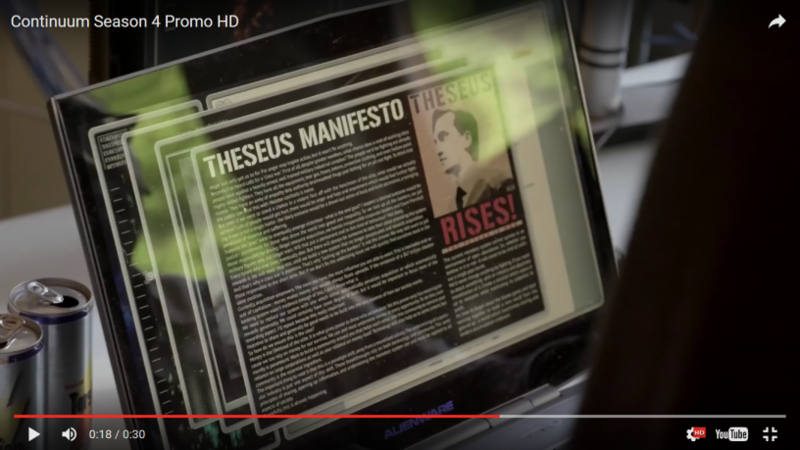 The relevant “Charlie Hebdo videos” are still available on the internet. 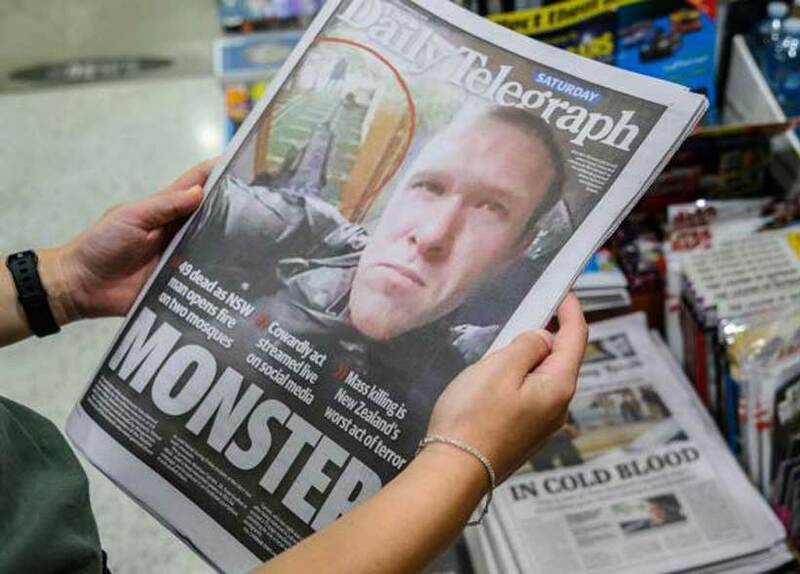 Why this time is different, so say the Hoaxer, has its reason in numerous vulnerabilities of the Christchurch perpetrator’s video. 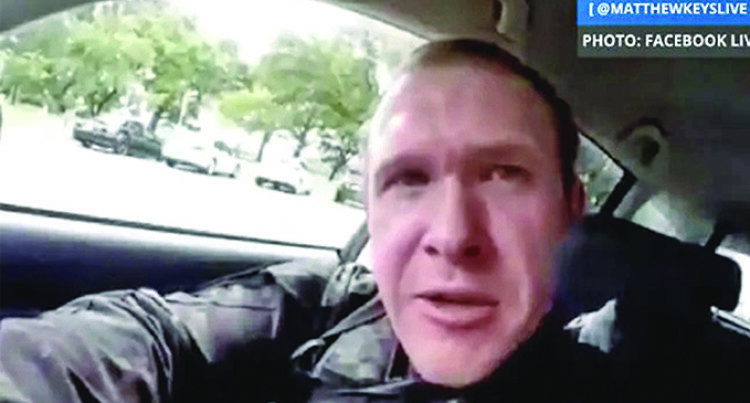 The “shooter” who reportedly prepared for this crime for 2 years uses his car navigation on the way to Al Noor Mosque, but does not use it on his – more stressful – way to Linwood Mosque. The driver intentionally swings the camera over to his face at one point, allowing to ‘recognize’ him. It’s the only ‘evidence picture’ because there is no surveillance camera footage of the attacked mosques. The mask-like face seen in the car video may well be that of today’s “offender” Brenton Tarrant. But it looks like it has been cut out and does not fit in with the body, or -the stills show it particularly clear – the body seems too far behind the head. Post production comes into mind. 7b To counter the impression, that the guns might have been “invisible”, when the film was made, we have an eyewitness. The msn-article reads as followed: Mohamed Yama was praying in the Al Noor mosque having the closest of escapes after bravely confronting the gunman. “I am shocked,” he said. BUT: We don´t find this “occurence” on “tarrant´s film” – it is neither to be seen nor to be heard there. HERE https://153news.net/watch_video.php?v=1XMGXKR2W7WU (0:37) we see and hear a second Mohamed Yama, another man under the same name who recounts the same incident. Watch “Tarrant´s film”, when he passes the cars, that this man is talking about. There is no voice to be heard by someone speaking to him in this area. And there is not the slightest reaction by the film-maker, that he might had been touched from behind. Besides the man recounts a false position of the film-camera. He points to his upper breast, instead of the head. This obvious discrepancy continues at the entrance gate to the mosque, where the “perpetrator” points his gun at people standing at the door while these first “victims” greet him with the words “hello brother” which is common among Muslims. After the entry scenario (9 shots) the “shooter” drops the weapon and changes to his second rifle. Here the shot sequence: Creeping: 3 shots; side room: 4 shots; forward in the hallway: 4 shots; entrance to the prayer room (crawling and second body): 9 shots; on group right in the room: approx. 24 shots; on approaching person: 5 shots plus 3 on the ground. That makes – with a 30 shots magazine! – about 52 shots without apparent magazine change. When the shooter first enters the prayer room, he spares the group already crammed into the left corner. At -9.49 (7.06) he is back in the corridor, where he reloads –9.41 (7.14) and then goes back to the prayer room and only now, -9.36 (7.19) shoots at the body pile on the left. They had until then been able to escape to the garden through a glass door just two steps away, but with one exception – -9.36 (7.19) no one did. In the same scene the “perpetrator” fires with high salvo density especially at the right side of the room. It is completely inexplicable why the walls and windows show no ammunition effects. The “shooter” leaves the mosque and takes to the streets. At the entrance to the mosque there is a large water mark, which according to the video time code two and a half minutes before -10.27 (6.27) was still considerably smaller or narrower. In the short meantime – a cone locking the exit underlines this – no cars can have come out. This is an indication a prolonged stage setting, disguised by a hidden camera cut. If the scenic routes “sidewalk/street/side road” were pre-recorded like all tracking shots in the open air, then there was some action required to put on top the pre-recorded material. The senseless shooting on the streets when no one was around, appear suitable for such a use. Strikingly, the car traffic on the road continues undisturbed! The phenomenon of the “phantom cartridges”, which has already been mentioned in 15, is particularly clearly confirmed when the shooter takes the street in front of the mosque under “fire”. Here you can see the ejection of the cartridge cases – which, however, a thing of impossibility, DISSOLVE in the air! The few cartridges that seem to reach the ground without the typical clanking noise magically disappear within seconds. While the “shooter” passes the entrance area of the mosque on the road, we notice in the right angle that a silver van parked in front of the gate is moving in the yard. https://153news.net/watch_video.php?v=BGORUSUB2H4N However, the “perpetrator” ignores the car and rather shoots in the empty side road. As he walks back down the alley to the mosque, the van is already gone. There is only one (!) scene in which “shots” are aimed at a car: This is the front window shot at -3.58 (12.50) where the “shooter”, despite three attempts, hits nothing. In the video you can almost continuously hear music, regardless of whether the ‘offender’ in the car, outdoors or in the mosque. This would only make sense if he had a portable music device with him. If he had, then still the question arises, why the temporal settings of the shots is not backed by music. This can actually only be explained by post-production. An additional indication is the ‘suitable’ mood influencing use of music after the head shot at an ‘escaping woman’ -4.45 (12.13). The background music changes to the song “I am the God of Hellfire” then. Additionally it should be noticed, that the reloading of the weapon(s) always sound the same, so as if someone used one and the same sound-effect on multiple occasions. The background acoustics from the “victims” are striking as well: throughout the massacre we only hear some sort of a continuous murmur. Individual screams of pain, shouts, or warning calls are nowhere to be heard. Almost all “victims” are already motionless on the ground when the camera hits them first time, without any visual effect of being hit or of suffering, sometimes -9.59 (6.56) even related shot on (seemingly) targeted people are questionable. There is too little blood caused by the massacre. This is 100% correct for the first run; what would explain – in case of a virtual manipulation of the film – why the “perpetrator” had to leave the mosque and “return” to document at least “standing” blood near the entrance and in two or three places of the prayer room. The hoax community therefore suspects fake victims. The analysis of one scene out of this community https://153news.net/watch_video.php?v=XSY1S9AM6W8X judges by a ‘victim’s’ arm movement that the bodies were not on-site as a group at the time of filming but are individually extracted from other picture and film footage and merged into a group per mouse click. However, this arm movement is less compelling than the leg posture of the jeans wearing ‘victim’ lying next to it. His legs (a short-term illumination underlines it) seem to FLOAT. Another example for unnatural body positions is the man “shot dead” at the main room’s entrance, -7.20/8.13 lying face down but legs somehow bent in the air, looking rather like a doll than a human being. Finally leaving the mosque the “shooter” at the entrance targets two “refugees” escaping through a side gate in the property wall. To hit them is actually impossible because of the distance, the moving target and the very narrow shooting angle. But he seems to make it with two shots. The camera moves to the “victim” on the sidewalk, passes the (again?) closed gate and captures one meter next to the “victim”, for whatever reason, her shoes. The “assassin” “shoots” her in the head, blowing her hair to the side like under the effects of a hairdryer. The mortally hit woman’s hand reaches for her head. Meanwhile the car traffic moves calmly. The second person, who escaped, has not been presented by the media yet. Leaving the crime scene the “perpetrator” drives over that woman’s body. The noticeable “bumpers” in the car are far too small to have come from overrunning a human body. Although the police was alerted already 2 minutes after the first shots at Al Noor mosque and 20 ambulances were on their way there, you can only hear one siren during the “shooters” drive away from Al Noor mosque to Linwood mosque. The “offender” fires his weapon from in (!) the car through his front window without causing any visible destruction. The video footage of his arrest as well shows no damage to the front window. Furthermore there is clear evidence that the video was “produced” and processed in two rounds, and this before the crime. The first round being a pure video recording of only the car drive and the mosque. In the second round, the hoax-community says, the shocking action scenes were subsequently layered on top of the plain drive-location video, partly with the help of bluebox / green screen effects and Photoshop, possibly even with the use of dolls and so-called crisis actors, the latter typical for training scenarios. The question is: who then was the political director? The mosques operators and the New Zealand government, together with the subordinate investigating police would be the first to suspect, because they ‘behaved’ according to the – supposedly fictional – narrative. But the reason for them to make such a dubious evidence video remains puzzling. It may have been a pure training movie, designed for internal drill use, on this day. But New Zealand may have pursued further external intentions with the film. Anyway there is the suspicion that this very product was seized by third parties and modified in a way that literally produced their own movie and put New Zealand’s government under pressure. We probably will never know the whole truth.